TOKYO -- Honda Motor Co. will preview the ninth-generation Accord next month when it introduces a coupe concept of the mid-sized car at the Detroit auto show. Honda said the concept will convey the dynamic and aggressive profile of the next Accord for the U.S. market set to go on sale late 2012. Honda will also debut its highly anticipated Acura NSX sports concept vehicle at the show. The car will be one of three Acura models unveiled, including a new luxury compact sedan dubbed the ILX and a close-to-production, next-generation RDX crossover. The NSX is expected to go on sale in the U.S. within three years of its Detroit debut, a Honda spokesman said. It will be equipped with a gasoline-electric hybrid drivetrain with all-wheel drive. Two electric motors power the front wheels, while a third motor mated to the mid-ship engine powers the rear axle, he said. The entry-level ILX will come in three powertrain options, including a hybrid variant. When it reaches market next spring, it will be Acura's first hybrid offering. Also on display will be a prototype of the 2013 Acura RDX crossover also due next spring. The RDX will be equipped with a V-6 engine, instead of the turbo-charged four cylinder it currently carries. 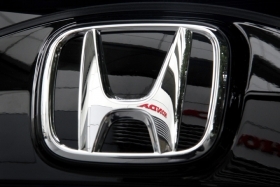 The Accord is Honda's top-selling model in the U.S. while in Europe, the car is company's fourth-best-seller with 8,131 sales in Western Europe in the first nine months, according to JATO Dynamics.